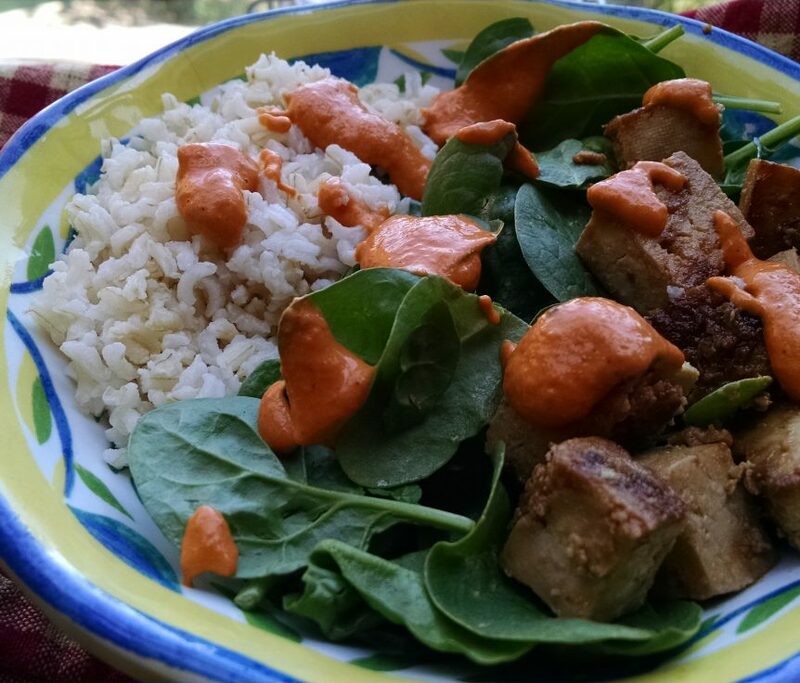 red pepper & pine nut suace Vegans Eat What? This sauce can't be beat for its exquisite flavor and versatility. It's sensational on vegetables, gluten-free pasta, Bliss Bowls and baked potatoes. Remove and discard blackened skin from peppers. Split open the peppers and remove & discard any seeds clinging to the interior. Put the peppers and all other ingredients in a blender and process until smooth. Tip: To toast the pine nuts put them in a small skillet (preferably nonstick) and heat over medium-high heat. Cook, stirring constantly, until golden brown and fragrant. Immediately transfer the nuts to a plate (otherwise the nuts will stick to the skillet and burn) and let cool. Note from VEW: This recipe is from Jo Stepaniak's amazing new book "Low-FODMAP and Vegan: What To Eat When You Can't Eat Anything". "Low-FODMAP and Vegan" was written by author and chef Jo Stepaniak for vegans with IBS. However, we think the book will be very helpful in the kitchen of anyone who has IBS, vegan or not.